Anna’s Secret Legacy is proud to be included in the Mid Atlantic Air Museum (see maam.org) for this years Festival on June 3, 4 and 5 in Reading, PA, for a spectacular display of WWII aircraft. Activities are listed on their site, with over 30,000 people expected. Stop by our booth in the hangar (next to Band Of Brothers) TIP- get their early – the roads will be jammed with cars trying to get there! This entry was posted in Anna's Secret Legacy, Anna's Secret Legacy Blog, Annas secret legacy novel, Book Signing, Pressroom and events, Scientific Discovery, spies, Uncategorized, World War II. Bookmark the permalink. 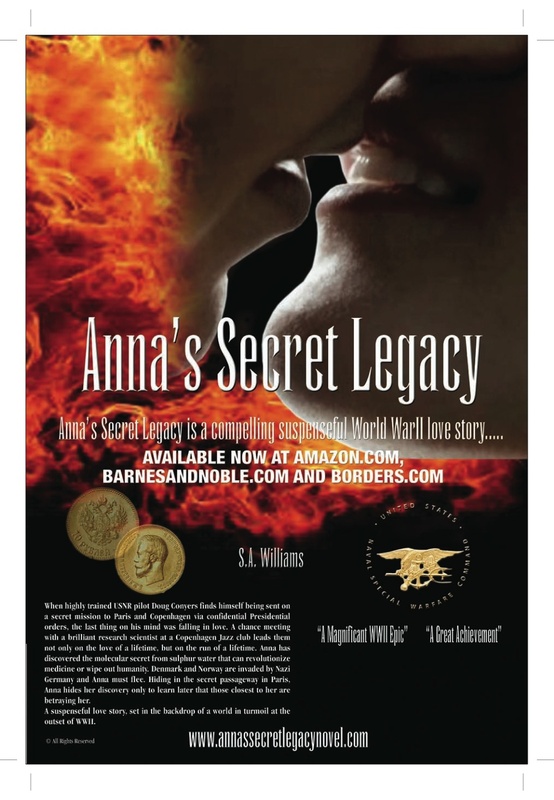 ← Anna’s Secret Legacy, Author S.A Williams to be on historical fiction panel At The Chestnut Hill Book Festival July 9th.